This week's question was suggested by Naz. Indian summer is a period of dry, unseasonably warm weather occurring in late October or early November and prevalent in the Midwest and New England. Although Indian summer has no fixed start or ending dates, the period usually lasts from a week to 10 days. And, while the days become noticeably warmer, the nights remain chilly. Hazy skies are also characteristic of the phenomenon. According to the Encyclopaedia Brittanica, an Indian summer occurs "when a cool, shallow polar air mass stagnates and becomes a deep, warm high-pressure centre. This centre is characterized by a low-level temperature inversion that produces stable air stratification." Unfortunately, the exact origin of the term is unknown, but its popular use in America has been traced as far back as the late 18th century. One prevailing theory states that the American colonists were told about the occurrence by the eastern Native American tribes and, consequently, dubbed the period "Indian's Summer." Another story relates that the term arose because the colonists believed the haziness of Indian summer was caused by fires the Indians set in the prairies. The idea of Indian summer entered the popular American imagination in the 20th century thanks to the Chicago Tribune. 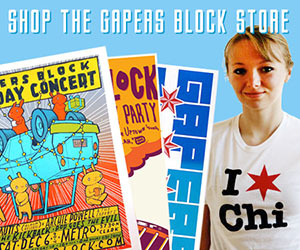 (You knew there had to be a Chicago connection, right?) In September 1907, the Tribune published an illustrated poem by John T. McCutcheon titled "Injun Summer" in which an old man tells a young boy about Indian summer by imagining a harvest field transforming into an Indian campsite. The poem, which became an instant classic, appeared annually in the Tribune until 1992 when the poem's stylistic vernacular language was deemed offensive to Native Americans. Temperate European climates also experience the same sort of weather phenomenon. In England the period is known as St. Martin's summer because it generally occurs near the feast of St. Martin, a 4th century bishop, on November 11. You may know Chicago's Graceland Cemetery is home to many of the rich and famous of the city's past, but did you also know it is the final resting place of the brother of Victorian novelist Charles Dickens? Augustus Dickens, born in 1827, was the youngest of eight children born to John and Elizabeth Dickens. As a boy Augustus was a favorite of his brother Charles, who was 15 years his senior. when Augustus finished school at the age of 17, Charles obtained him a clerical position in the office of Thomas Chapman, a wealthy London merchant. However, their relationship became estranged when, in 1858, Augustus abandoned his wife, who had gone blind, to run away to America with another woman, finally settling in Chicago. Charles denounced his brother's actions and took it upon himself to support his brother's deserted wife. Augustus Dickens died in Chicago in 1866, leaving behind his mistress and three children. "Indian Summer." Encyclopaedia Britannica. 2003. Encyclopaedia Britannica Premium Service. Oct 15, 2003. Johnson, Edgar. Charles Dickens: His Tragedy and Triumph. New York: Simon and Schuster, 1952. Got a question? Go on. Ask me. I dare you. 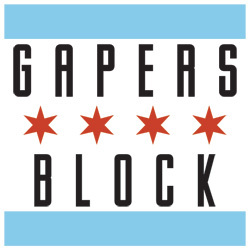 Send your questions to librarian@gapersblock and it may be featured in a future column. No emails, please. This is an archived column; The Librarian has left the building. Thanks Alice. Always wanted to know why Indian Summer was named as such. My grandfather hated that "Injun Summer" cartoon with a vengeance, not because it was historically offensive but just because it was so damn hokey. I forgot that it stopped running in '92, because that means he managed to just barely outlive it. Great article and nice to know a child memory could be traced to a confirmed story printed in the Chicago Tribune which I saw first hand. Is this picture available anywhere for sale or do you have to go directly to the "Chicago Tribune" and work out (possibly) with them a picture that has more sentimental that monetary value? If you devote any time to this question, I would appreciate it. This is something I have recently been trying to track down and just once briefly noticed an original print on "ebay.com" for sale but missed it.